The Mountains of Instead: The Night Itself Book Trailer! (starring Splendibird - for your sins). The Night Itself Book Trailer! (starring Splendibird - for your sins). 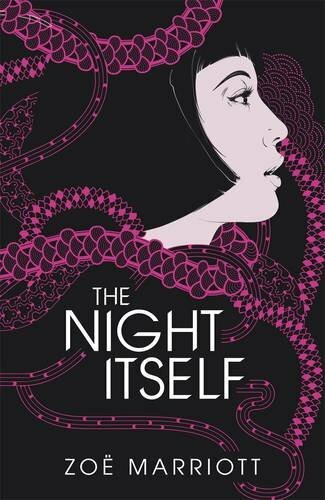 Recently, myself and a few others were approached by lovely Hannah Love at Walker regarding the upcoming title from Zoe Marriott - The Night Itself. asking if we would like to participate in making a book trailer. I'm pretty sure that everyone said yes... and now you get to experience the result. The Night Itself combines present-day London with the mysteries of ancient Japan, centering around Mio and a mysterious sword bequeathed to her on her 16th birthday. Mio decides that she's not sure she wants to wait that long when she has a fancy dress party to attend and grabs the weapon early. Needless to say, it's not the smartest idea she's ever had and before you can say "sorry, Grandpa" she's embroiled in a world of long dead warriors, oddly attractive fox-men (really) and a crazy cat lady. It's been a long time since I enjoyed a book this much - more than anything, The Night Itself is a hell of a lot of fun which is not to say that it isn't also sinister, intriguing and compelling. With this title, Marriott has cemented her place as one of the UKYA authors and as this is the first in a series, there is awesomely plenty more to come. The Night Itself is published on 4th July and you can hear a few of us reading from the book in the trailer below. Everyone sounds great, because they are reading really, really good words. Pretty sure I was the only one recovering from chickenpox though... but onward and upward. Enjoy! Oh, and buy the book - it's really awfully good.